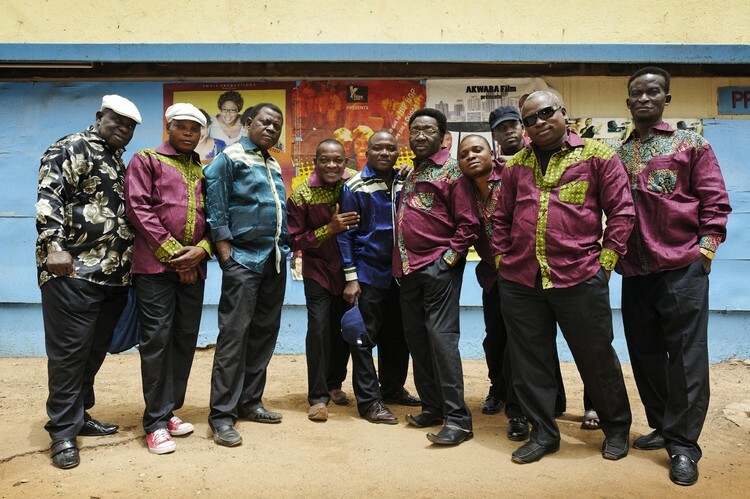 Relive Afro-Pop’s Golden Age of the 70’s with the Orchestre Poly-Rythmo de Contonou: Also appearing, African Hip Hop Sensations SMOD: July 20th, Friday @ 9:00 p.m.
Afrobeat funk was all the rage throughout the continent during the era of the 70s. This highly energized form of dance music soon made its way overseas, receiving a warm reception in Europe and beyond. Well, now this once highly popular genre of world music is making a huge comeback across the globe and what better way to experience it other than at the hands of Benin’s Orchestre Poly-Rythmo Contonou. Not only are they considered to be their homeland’s top music ensemble of all time, but major critics, such as the New York Times, have dubbed them one of the world’s premier funk bands. Although heavily influenced by the late great James Brown, the band has developed a version of Afro funk that is distinctly all their own, infusing it with elements of psychedelic rock, native folk rhythms, Latin genres such as the Brazilian samba, jazz, soul, and voodoo music. The voodoo music makes its mystical presence known in the form of ritualistic chants and rhythm patterns pounded out on a large drum. And don’t let the band member’s age fool you for one minute! They are filled with just as much vibrant energy as ever. To them, African music’s era of the 70s is only just yesterday. 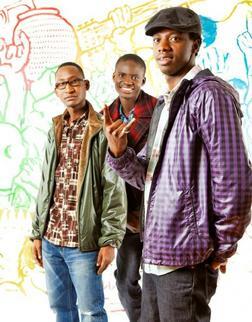 Appearing with OPC, will be SMOD, a popular Malian hip hop band. “African” hip hop that is. Determined to do much more than just copy the original American form of the genre, the group has brought traditional African vocals and rhythmic motifs as well as tons of renewed energy to the mix. They see their version of hip hop as a vehicle through which they can effectively express their views on the impoverished state of their native continent and the governments’ refusal to ease the hardship of their citizens. The group’s leader, DJ Sam, just happens to be the son of none other than the legendary Amadou and Miriam of current international fame. Faithfully honing their craft in practice sessions located on the rooftop of this famous duo’s home, this vocal trio has been rising steadily in popularity, serving as the opening band for such well-known world music names as Salif Keita, Manu Chao, and of course Amadou and Miriam as well as a number of other stars. In fact, none other than super star Manu Chao himself is the producer of SMOD’s latest cd release. So, come on out to the Brighton Music Hall and catch some of African music’s top acts. How can you possibly go wrong with a ticket that brings you two world renown bands for the price of one? When: July 20th, Friday @ 9:00 p.m.